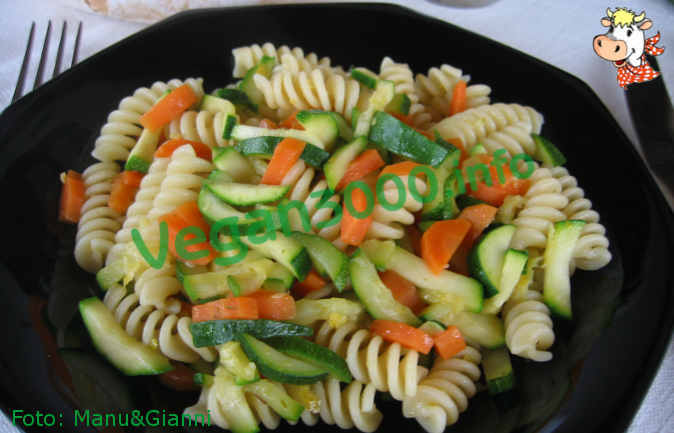 While Cook the pasta in boiling salted water, washed and cut into the match separately, carrots and zucchini. Put a little oil in a very large pot and let it warm up (!). Unite first carrots, whose cooking takes longer. Let them jump in oil for about ten minutes. Salt lightly and stir. Add the zucchini, season with salt and stir everything together. Cook for another 10-15 minutes. Drain the pasta cooked al dente, add the grated lemon rind, rimestateli carefully using a wooden spoon and add to the vegetables still on fire. Stir briefly in order to make good the sauce to the pasta and serve hot with a sprinkling of gomashio.